Tiny Texas Houses are built almost entirely of salvaged materials and cost between $60,000 and $90,000. And Yes! The bus is for sale! Contact Kim at dancemntn@yahoo.com for info. We are settling down in Nashville, TN so we are having to move on from bus life! Please let us know if you are interested! Hi all, we are putting up the Live Lightly Tour RV up for sale, please email me at dancemntn@yahoo.com if interested or if you would like more info. You can see some pics here. 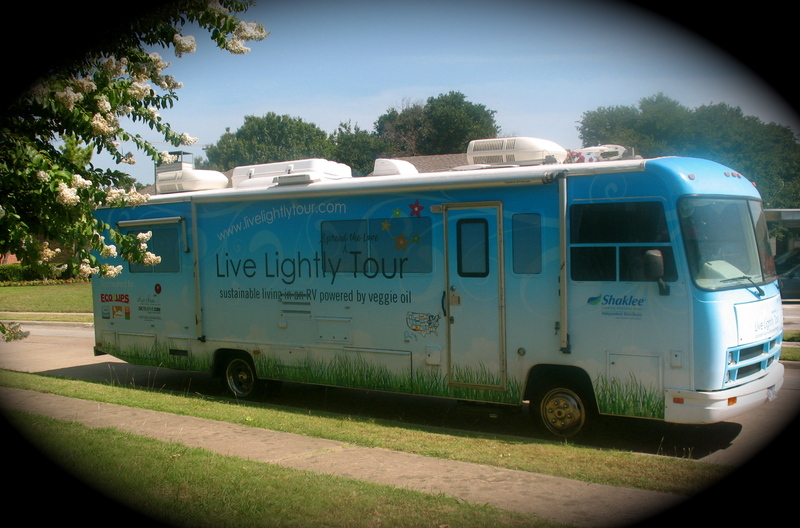 And find more details about bus on Live Lightly Tour Q&A page.